Wow – Look At That Price! Banks will not process short sales until they have a contract. So a typical short sale may go through gradual price reductions until an offer is received. Once received, the process can begin the cumbersome short sale process of determining the sales price and gaining the required approvals. It does not have any correlation to the list price! The initial list price you see on the listing has NOT been approved by bank. Short sales are routinely priced below market in order to receive an offer so the process can be initiated. During the process, the bank requests an analysis of market value through a BPO (Broker Price Opinion) and then compares the offer price to the market value from the BPO. If it falls too far out of range, you can expect a counter offer after waiting for 2 – 3 months. What Do You Mean It’s Not Available? Another major point of frustration can be the mechanics of searching for a short sale. On Realtor.com it may show as available, but in reality the short sale has an accepted offer that has been signed by the seller and forwarded to the bank for consideration. Once an offer is received on a short sale, the MLS status should be changed to AWC, Active With Contingency, the contingency being the approval by the bank. However, many real estate portals do not recognize the AWC status and continue to show the property as Active. Bottom line: contact a Realtor to help you identify which properties are truly available. Note: some websites are beginning to identify short sales that have contingent offers. Do You Qualify As A Short Sale Buyer? There is no special financing required to purchase a short sale; however, any prospective buyer must understand the delays and frustrations associated with the process. Especially if you have a defined time table for finding a house, a short sale will most likely cause extreme stress, premature gray, potential marital strife, and frequent trips to Walgreens for extra Tylenol. I am not kidding! Yes, you will hear about the short sale that closed in 6 weeks, but don’t count on that. You must be flexible on the closing and have all the paperwork submitted to the lender since you’ll wait for 3 – 4 months and then all of a sudden the bank will require you to close in 18 – 24 days. So Why Go Through All That Pain and Suffering? With all of this said, you might wonder why anyone would pursue a short sale property. A good example is a house that closed 2 days ago that a family relocating from Wisconsin purchased. After looking at many homes and gaining a good understanding of the area, a short sale in south Gilbert caught their eye that could not be matched. Their patience paid off and they got the best house on the market in their opinion and mine after waiting over 3 months. Properly negotiated, short sales can offer significant savings to the patient and flexible buyer. 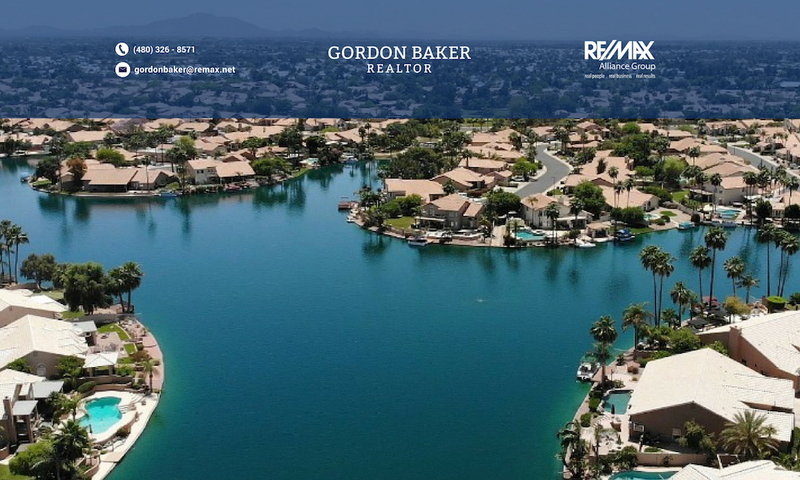 For those that feel they are up to the task of considering a Phoenix area waterfront short sale, the links below will be helpful. For more details on the intriguing part of the market called short sales, please call me at 480-326-8571 for more stories information.